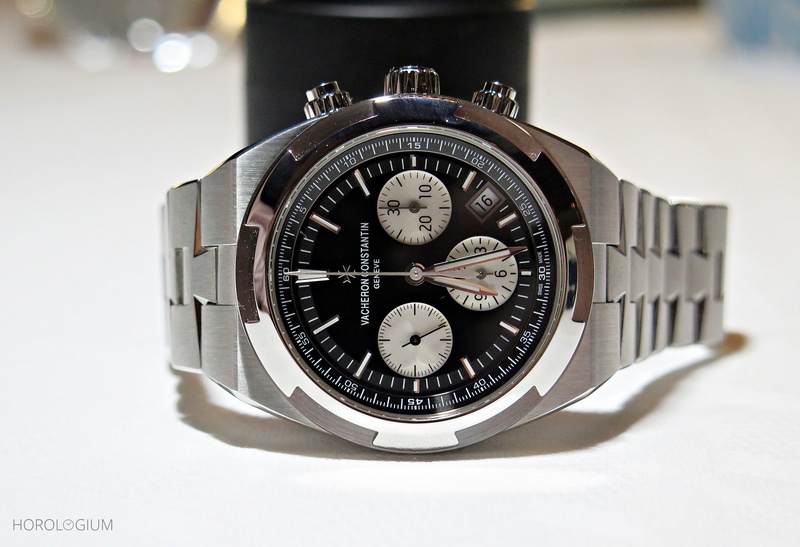 Vacheron Constantin have just expanded their Overseas collection this week, with the addition of new Overseas Automatic and Overseas Chronograph Black Dials to add to the existing blue, silver, and brown dial models already available. The latest additions to the ‘new’ Overseas, launched in 2016, the specs of today’s watches are the same as those of the earlier dial variants, it is just the dial colour that is different. However, this is a black Vacheron dial with a bit more to it than perhaps many would expect, and one whose full effect is best seen ‘in the metal’. How is it unexpected? Well lacquer has been applied on top of the dial colour, giving it both depth and a different look depending on the angle at which you look at it, not to mention the lighting conditions. If there’s one thing that a lot of watch wearers enjoy, it is being able to have a changing visual landscape depending on the tilt of your wrist. The way the dial is manufactured is still the same, but with a translucent lacquer applied on top. First up is the Overseas Automatic Black, the an addition to the entry-level Overseas model. Coming in a 41mm stainless steel case with polished and brushed finishing with 150m of water resistance, it uses the Calibre 5100, with sixty hours of power reserve. The second black model comes in the form of a new Overseas Chronograph, featuring a ‘reverse panda’ dial with silver as the contrasting chronograph sub dial colour. Inside is the same automatic Calibre 52000 as in its collection brethren, an integrated column wheel chronograph with a fifty-two hour power reserve. The stainless steel case of the chronograph version is, at 42.50m, slightly larger, but with also with both polished and brushed finishing. One of the main attraction of the current Overseas collection is the easy change strap system and that each watch, including these black ones, comes with three straps – a steel bracelet, an alligator strap, and a rubber strap. In this case, the leather and rubber are in, of course, black. In many ways, the multiple straps plus the ease with which they can be changed means that the Overseas really is a convenient travel watch that you can dress up or down, but my favourite combination for both is on the leather strap. The Vacheron steel bracelet is also worth noting for its quality of execution as much as its comfort. Water resistance for the cases is 150m, so on the rubber strap, you get a luxury sports watch that can take a bit of water on it. Functionality and price notwithstanding, of these two watches, my choice is the simple model. The increased ‘dial real estate’ on the time/ date model means that the lustre of the lacquered black dial (literally) has more space to show itself off, and in looking at it, especially when tilted at various angles, what really is the centrepiece of this watch is given full flight. The colour depth of the lacquered dial is also why I must also mention the date window. It is a feature of the Overseas Chronograph and thus in no way a distinguishing feature of this particular new model, but the sheer blackness of the dial means that the white date wheel/ window, is in greater contrast and thus, more noticeable, than the blue/ brown dial variants. On the time/ date model, its placement at 3 o’clock means it is (Position and colour) balanced against the 9 o’clock marker, but as is the case with all dark dialled watches with lighter date windows at 4.30, its presence is more noticeable. The pricing on these two new black dial pieces are in line with the rest of the Overseas collection. The Automatic has an RRP of AUD 30,100/ EUR 20,900/ USD 20,900 and the Chronograph, AUD 43,400/ EUR 30,200/ USD 30,300.